This 16th Century house has been transformed over the years to create a luxury holiday villa offering many facilities including large well kept gardens and woodland. 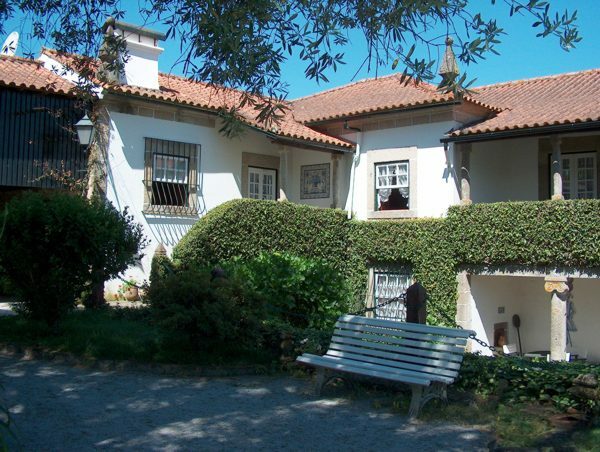 The house is in the Lima valley, Costa Verde, in the North of the country, considered by many to be the most beautiful area of Portugal. The valley is divided into very small fields (too small for a tractor!) which are surrounded by stone walls. Grapes for the local Vinho Verde wine grow around the edges whilst the centre is used for maize or cabbages. 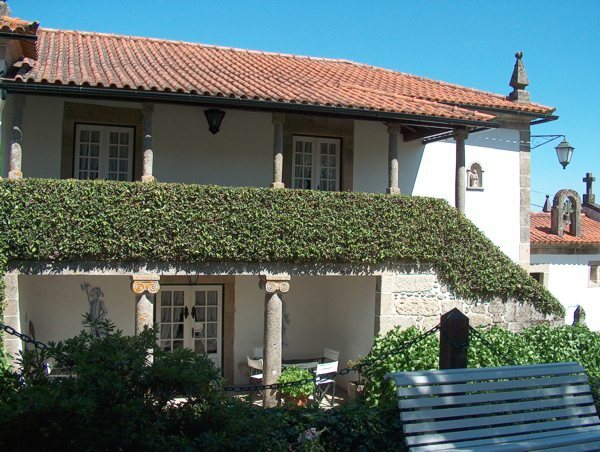 The old Roman town of Ponte de Lima, situated 8 kilometres away, is famous throughout Portugal for its small restaurants where you will find good food served with excellent Portuguese wines. 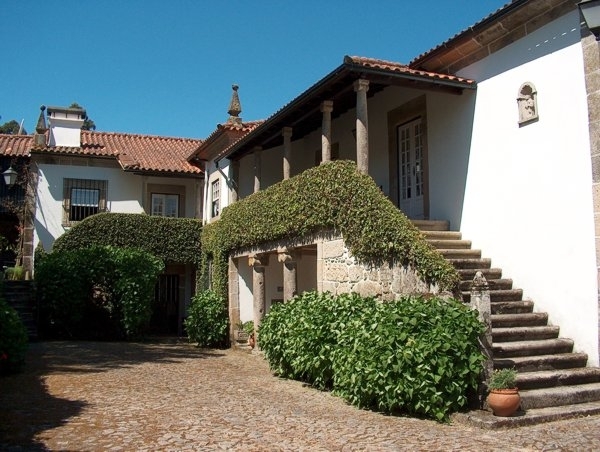 Quinta de Nabais has 6 bedrooms all with en suite shower room. 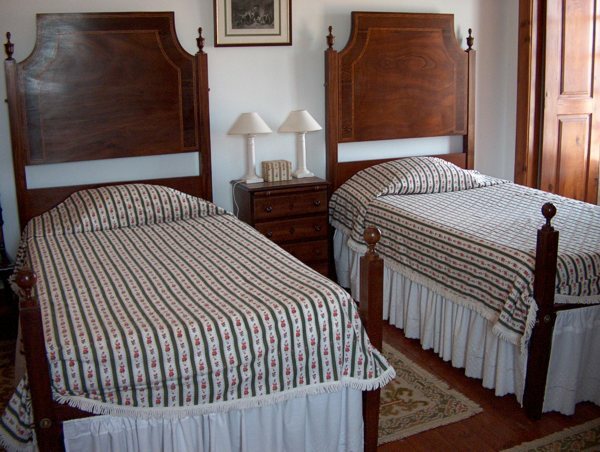 Three of the bedrooms have a double bed, two have twin beds and one has a single bed. There is a reading lounge upstairs which has doors leading out onto the balconies which provide a peaceful and relaxing atmosphere. The open plan lounge and dining room is complete with a very large table which is ideal for entertaining large groups in cool evenings, heated by the pleasant fireplace. 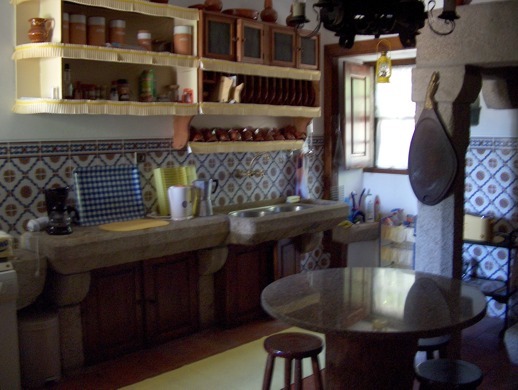 The kitchen is, as you would imagine, traditional in style and is fully equipped with modern appliances. Quinta de Nabais also has a downstairs cloakroom. 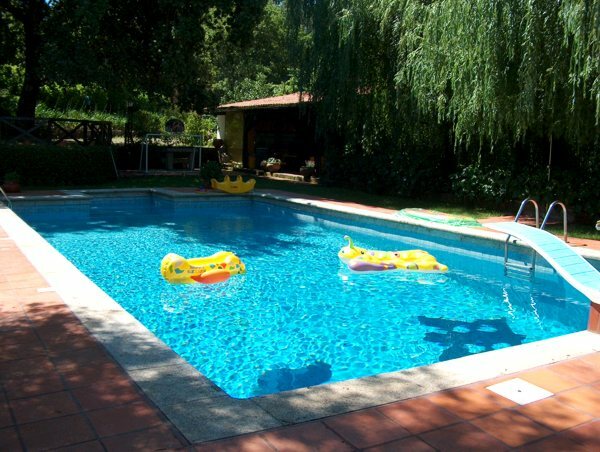 Quinta de Nabais is surrounded by extensive grounds and has a large swimming pool with a basketball hoop and a water polo goal. 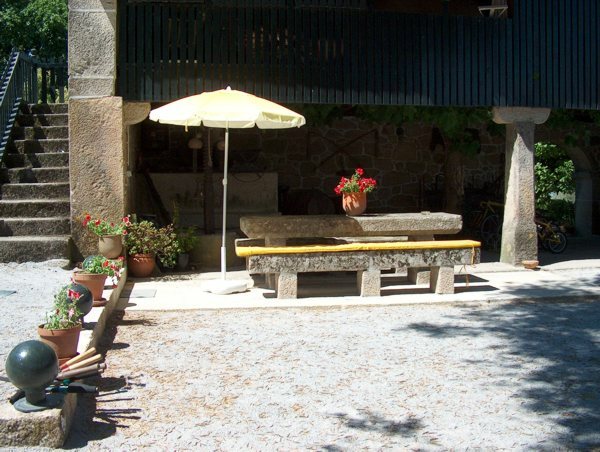 In the grounds there is an outdoor self catering dining area with stone tables and benches, shaded by mature trees - spectacular in summer. A separate modern kitchen is located in a covered area near the swimming pool. This kitchen has a hob, oven, refrigerator, dishwasher, microwave, coffee machine, kettle and separate cutlery and crockery. It also has a barbecue. For small children, there is a small play area near the swimming pool with swings etc. 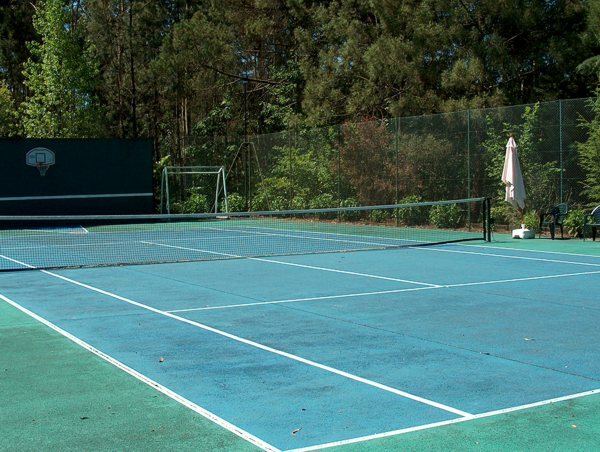 There are also bicycles and other sports equipment at the house for the use of guests. 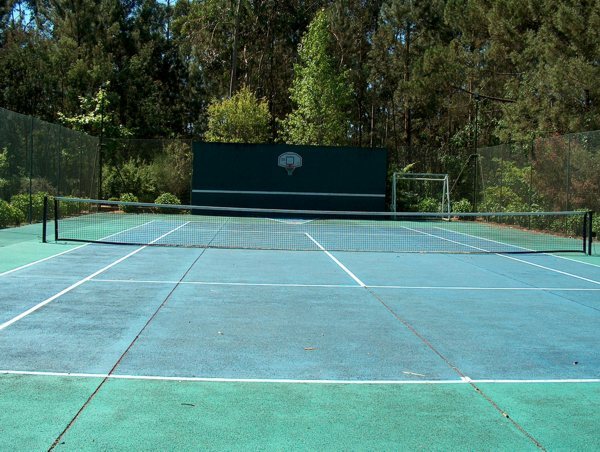 Tennis rackets are provided for use on the floodlit tennis court (metered electricity extra) however, serious players are advised to bring their own rackets. 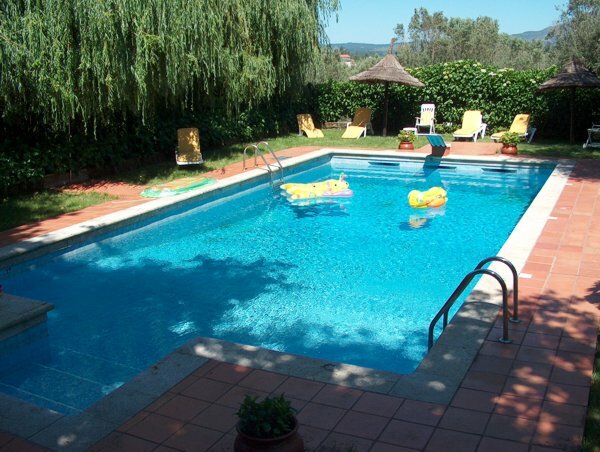 The quinta is ideally located near modern fast roads leading to the old sailing port of Viana do Castelo, the Peneda-Geres National Park, the walled town of Valenca and, Vigo, Baiona and Santiago de Compostela in Spain. Braga, Guimaraes and Porto are to the south also by motorway. 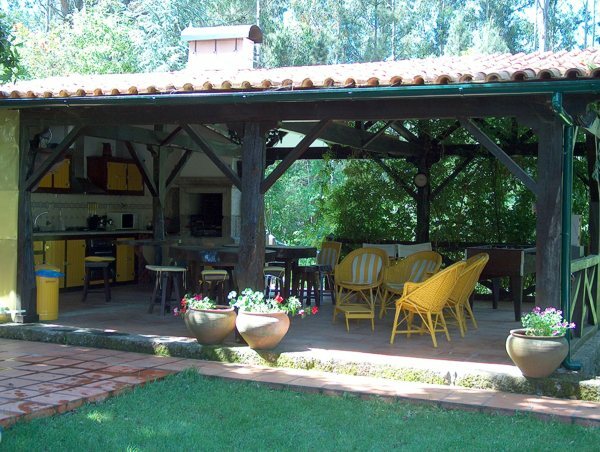 For very large groups there is another house, which is just across a small lane and opposite Quinta de Nabais, Casa Olival which can accommodate another 8 people. 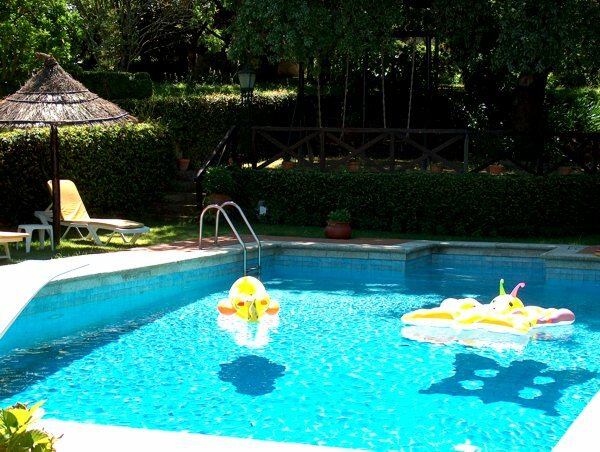 We and our family want to tell you how much we enjoyed being at Quinta de Nabais. There were so many things to do for the younger part of the family. Our grandchildren wanted to stay another "million weeks". The garden, with all the flowers, was really a delight for our eyes. We didn't expect the weather to be as fine as it was. We got four days of sunlight and one of the days the temperature was as high as 30 degrees C. Fantastic! 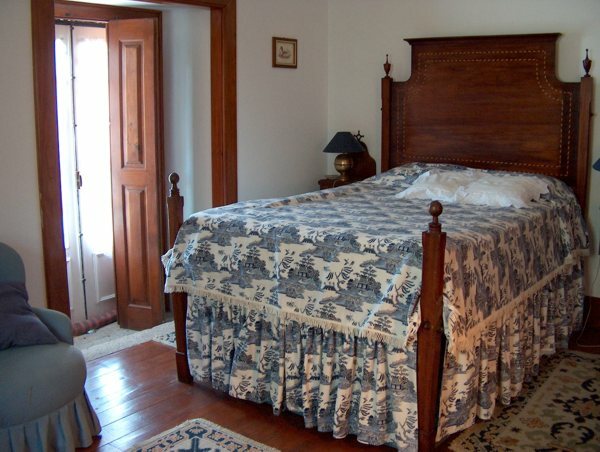 We've told a lot of friends about our stay at your beautiful and well-equipped house. Luckily enough we have taken a lot of photos, so we can enjoy Quinta de Nabais over and over again. We had a great week at Quinta de Nabais - oranges, peaches, and lemons abounded, and the hydrangeas all over Portugal and at the house were in lovely bloom. Francisco kept the grounds looking lovely and was helpful in many other ways. 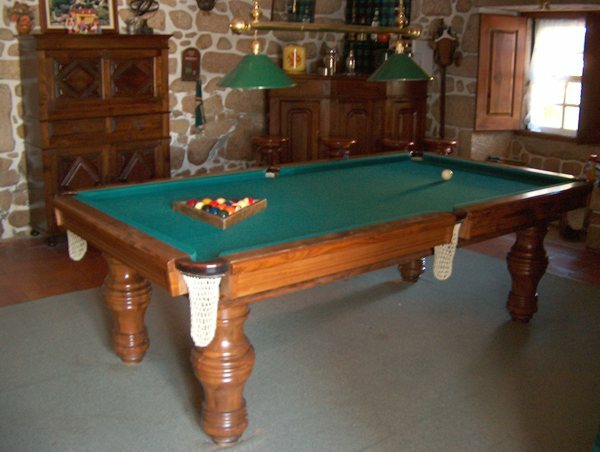 Our group of 10 enjoyed the pool, the pool table, and spent many happy hours eating and drinking at the outside kitchen.